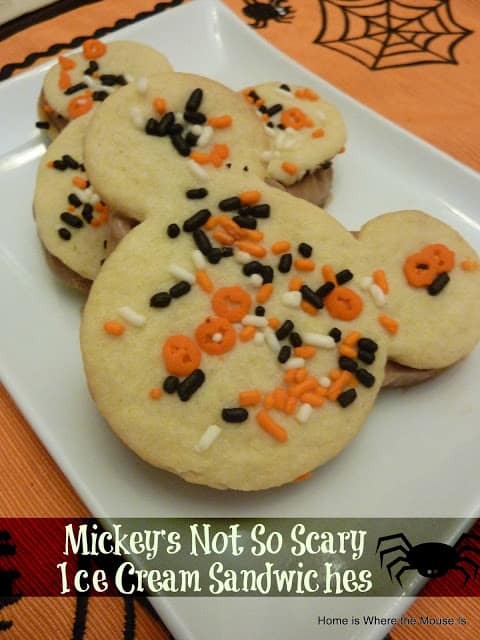 Mickey’s Not So Scary Halloween parties are in full swing Though we have not been lucky enough to attend one yet, we have been living vicariously through all the party goers Periscopes, Facebook posts and Instagram pics. From the Boo to You parade to HalloWishes, there’s so much to see and do at each and every party. And there’s special food too! We can’t help but drool over the delicious party snacks made especially for the party. One snack in particular has piqued my interest, the Halloween Cookie Ice Cream Sandwich served at Plaza Ice Cream Parlor. A generous scoop of ice cream is sandwiched between two freshly baked cookies. Since I’m not making it to a party any time soon, I decided to make my own at home. This at home twist takes the original sandwich and puts a fun and festive spin on it. Its the perfect post trick or treating treat! Roll the dough out on a floured surface to about 1/4 inch thick. 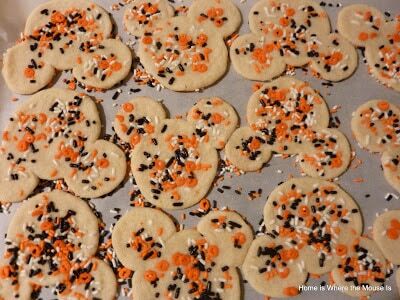 Cut Mickey shapes using a Mickey shaped cookie cutter. 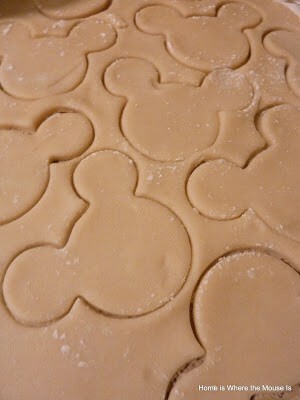 Place Mickey heads on cookie sheet lined with parchment paper. 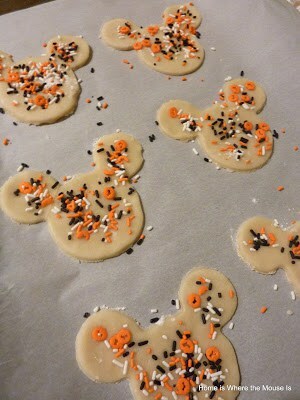 Sprinkle the Mickey heads with festive Halloween sprinkles. Lightly press them into the cookies so they stick to the dough. Bake according to your dough’s directions. Allow to cool. While the cookies are baking, take out a carton of ice cream from the freezer and allow to soften. Make sure it’s not too hard or too soft when you’re ready to work with it. If it’s too soft it will drip and not stick to the cookies. Too hard and it will break the cookies. 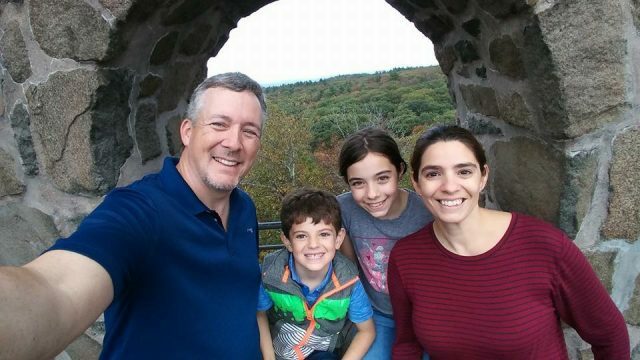 Now comes the hard part. You need to work fast to make sure the ice cream doesn’t melt. Using an offset spatula, spread a thick layer of ice cream on one cookie. Cover with the other cookie and gently press. Place the cookies sandwiches in the freezer to set. That’s it! 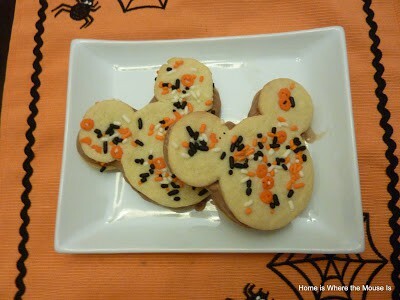 Simple, quick and delicious, Mickey’s Not So Scary Ice Cream Sandwiches are no trick, definitely a treat! 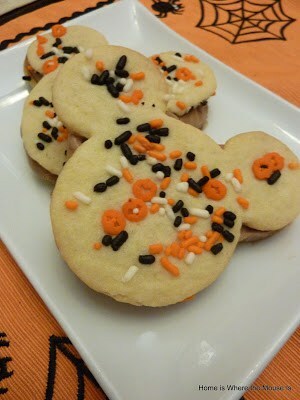 Your little ghosts and goblins will be drooling over these. Make sure you keep a couple extra in the freezer for yourself once the kids pass out from all the Halloween festivities. It's beautiful. I WANT IT.